Despite what our brand name implies, Resorts of Ontario is more than just resorts. We also partner with some attractions and adventure outfitters. You might be asking yourself "Why would be partner with non resorts?" The reason is because we believe in promoting the experience, the dream or vision, the goal or bucket list item. You'll also find that our resorts members partner with the same companies to add to your resort experience. At the end of the day we want you to have a memorable vacation whether it be with friends, family or your spouse/partner. Visiting an Ontario Resort is in part about experiencing the outdoors, going off on an adventure, seeing some sites. With out a doubt, one of the most popular destinations in Ontario for this is Algonquin Park and we have many resorts located in and around this beautiful area. To help ensure you have the right gear for the right outing, Algonquin Outfitters and the Portage Store should be on your must visit list. Their friendly and knowledgeable staff will ensure that you get the information and supplies/gear you need to have a safe and enjoyable time out. Whether it be hiking, canoeing, snowshoeing, cross-country skiing or nature viewing. Stop in and say hi to the friendly folks at Algonquin Outfitters and the Portage Store. Sometimes while staying at a resort, kids get a little antsy and need some increased stimulation. That is why we also partner with Santa's Village in Bracebr idge. This family entertainment park let's kids "Be an elf for the day," while providing the fun of rollercoaster ride and train rides, a sports land and for the adventurous person, Eaglecrest Aerial Park. For the winter enthusiast, we have also partnered with Snow Valley in Barrie. Named as "the best Ontario hill for kids," by Ski Canada Magazine, they have a strong focus on ensuring a day spent here is fun for the whole family. Snow Valley offers 19 trails of varying difficulties and tubing park with 9 chutes and over 600 tubes! 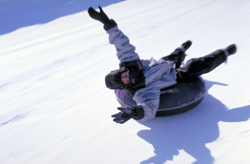 Check out a video of their snow tubing here http://www.skisnowvalley.com/barrie-ski-area/snow-tubing/videos.aspx. Niagara Falls is certainly a major tourist destinat ion with no shortage of activities and attractions and while you could see the power of the Niagara River the traditional ways, we would suggest something a little less traditional. 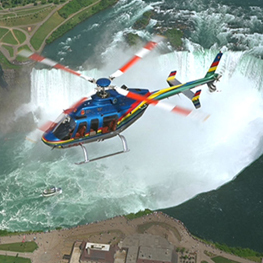 Through Niagara Helicopters, you can view the Horseshoe and American Falls from high above as you soar around the region in a Helicopter giving you unique vantage points for those special photographs and more importantly, memories that will last a lifetime. Take a look at the flight plan to get a sense of what this experience is all about. Want to experience that awesome power of the raging Niagara River? Then we would suggest a ride up the river provided by Whirlpool Jet Boat Tours. Experience the rush in either a wet or dry boat as it speeds up the mighty Niagara. Rider beware though, if you choose the wet adventure, you will get "absolutely soaked," but to have that memory, I think a little/LOT of water is completely worth it. After tackling whitewater in a jet boat, why not head up to Canada's "rafting capital" in Ottawa, for some real white water adventure. We also partner with Wilderness Tours and River Run Rafting both operating on sections of the Ottawa River. Wilderness tours has been in operation since 1975 and River Run Rafting since 1980. At Wilderness Tours guests can also enjoy mountain biking and bungee jumping. River Run Rafting gives guests the option of staying on site at the London House Inn and Spa. Guests can enjoy the private pool and hot tub after a day out on the water and of course a nice cold beverage at the Riverrunners Pub. 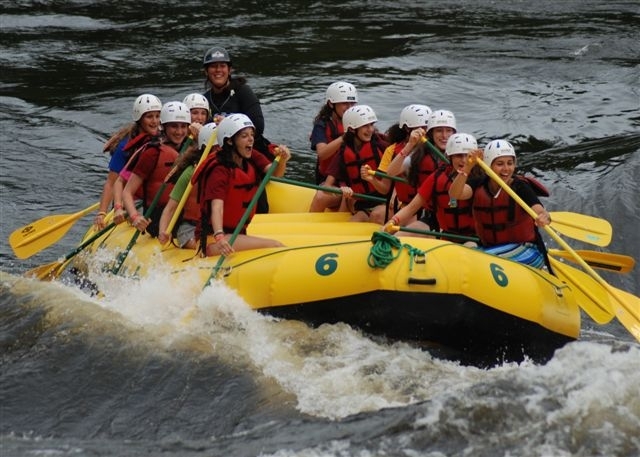 To get a sense of what white water rafting is all about check out this video from River Run Rafting. Come on up to our place and experience true adventure and create lasting memories.